Multiculturalism is a prevalent worldwide societal phenomenon. Aspects of our modern life, such as migration, economic globalization, multicultural policies, and cross-border travel and communication have made intercultural contacts inevitable. High numbers of multicultural individuals (23-43% of the population by some estimates) can be found in many nations where migration has been strong (e.g., Australia, U.S., Western Europe, Singapore) or where there is a history of colonization (e.g., Hong Kong). Many multicultural individuals are also ethnic and cultural minorities who are descendants of immigrants, majority individuals with extensive multicultural experiences, or people with culturally mixed families; all people for whom identification and/or involvement with multiple cultures is the norm. 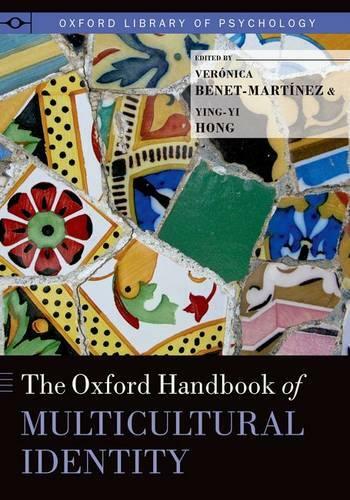 Despite the prevalence of multicultural identity and experiences, until the publication of this volume, there has not yet been a comprehensive review of scholarly research on the psychological underpinning of multiculturalism. The Oxford Handbook of Multicultural Identity fills this void. It reviews cutting-edge empirical and theoretical work on the psychology of multicultural identities and experiences. As a whole, the volume addresses some important basic issues, such as measurement of multicultural identity, links between multilingualism and multiculturalism, the social psychology of multiculturalism and globalization, as well as applied issues such as multiculturalism in counseling, education, policy, marketing and organizational science, to mention a few. This handbook will be useful for students, researchers, and teachers in cultural, social, personality, developmental, acculturation, and ethnic psychology. It can also be used as a source book in advanced undergraduate and graduate courses on identity and multiculturalism, and a reference for applied psychologists and researchers in the domains of education, management, and marketing.